Hotel-Villa BB is family and business hotel by the sea and the pebble beach with beach bar in Podstrana, a beautiful tourist place near the town of Split. Hotel-Villa BB offers vip, superior and standard rooms and suites of various accommodation facilities with beautiful balconies and terraces with deck chairs and garden furniture for enjoying the view of the nearby islands, Split and its surroundings, with a glass of your favorite beverage in your hand. As a part of the hotel-villa BB there is tavern where we offer service breakfast for our guests and where you are always welcome whether you want to drink coffee and talk with a business partner or you want to celebrate a beloved event with your family and friends. On the pebble beach in front of Hotell-Villa BB is our charming beach bar „Crazy Brothers” where You will find relaxing time in good company by the sea. All accommodation units are air-conditioned and parking place is assured to you in all days of your pleasant staying in hotel-villa BB. Distance from sea is 5 m.
All accommodation units are air-conditioned and equipped with wireless connection that will allow you to open a window to the world and share with your friends and family wonderful impressions from holidays at any time from the comfort of your room. "Crazy brothers" is the name of a beautiful beach bar located by a sand beach. With a big offer of drinks, ice cream, music, cultural and sports events beach bar "Crazy brothers" is a key tourist offer of Podstrana. Apartman 2+2 Apartment 2+2 is suitable for 2 adult’s persons and 2 children. Apartment has big matrimonial bed, sofa that can be unfolded in comfortable bed for 2 kitchen, kitchenette, bathroom and balcony or terrace with sitting set. Apartment on south side has amazing sea view. 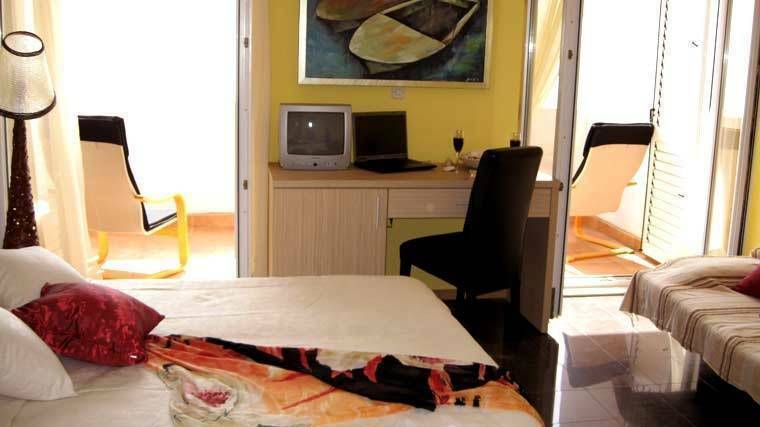 All apartments are air-conditioned, equipped with sat/tv and warless connection. Apartman 2+1 Apartment studio 2+1 is suitable for 2 to 3 persons. Studio apartment has big matrimonial bed and one single bed, kitchen, bathroom, terrace with sea view and sitting set. Apartment is air-conditioned, equipped with sat/tv and warless connection. 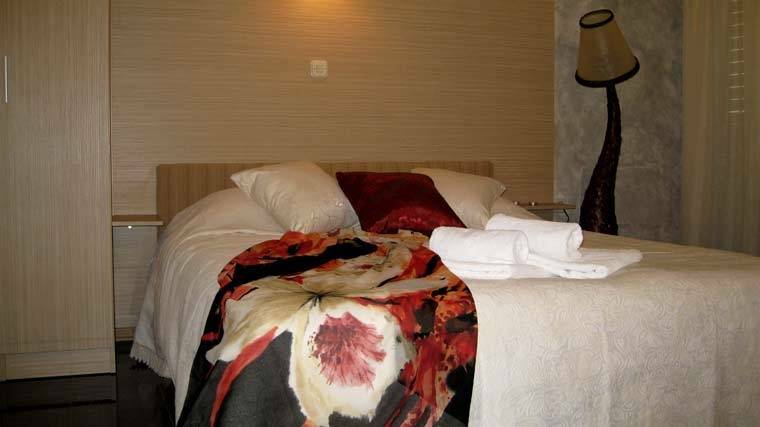 Double room Double room is suitable for 2 persons. 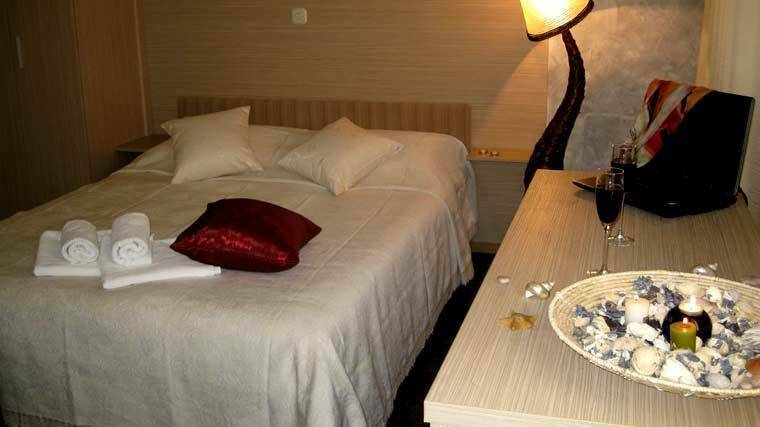 Some of double rooms have big matrimonial bed, some of them have two separated bed for 2 persons. Double rooms have balcony with sea view and sitting garniture. 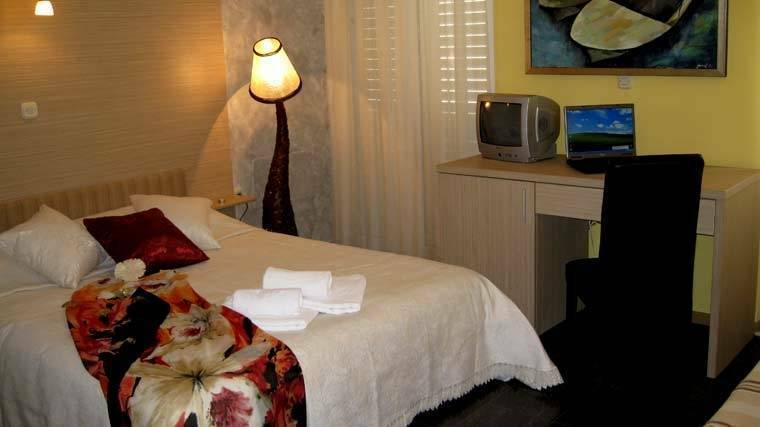 Double rooms are air-conditioned, equipped with sat/tv and warless connection. Single room Single rooms are double rooms (single use). It is equipped with balcony and sitting garniture air- conditioned, sat/tv and warless connection. Villa - Hotel BB was built in 2002 and renovated in 2009 by the highest European standards, immersed in the relaxing landscape of tourist place Podstrana, where hospitality and discretion perfectly fit into a divine atmosphere. Owing to its rich heritage Podstrana is developing in cultural elite place. Podstrana has great advantages, thanks to a beautiful location with crystal clear blue sea, mild climate and kilometer long pebble beaches. 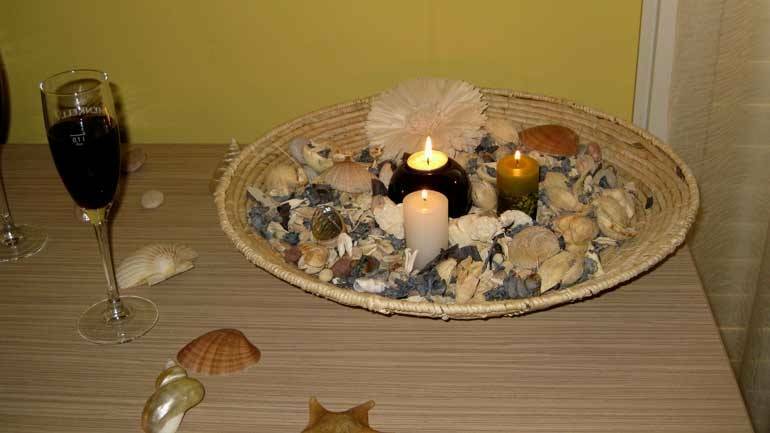 Villa - Hotel BB offers peace to those who are looking for it, and fun for those who want it. Outside of chaos of mass tourism, but close to everything you can wish during your vacation. On the pebble beach of Villa - Hotel BB is situated beach bar "Crazy brothers" which will offer you unforgettable moments of relaxation and fun by the sea, with a refreshing drink in good company. A part of the Hotel-Villa BB is Adria tavern where we offer service of breakfast to our guests and where you are always welcome whether you want to drink coffee and talk with a business partner or you want to celebrate a special event with your family and friends. If cancelled later and in case of no-show, the total price of the reservation will be charged. Podstrana is a county in Central Dalmatia, located between the city of Split(5km away) and the country of Dugi Rat. Villa BB is situated in a tourist please by the sea. In the vicinity there is tennis and golf centre, a disco club, caffe bars, restaurants and beautiful beach bar name "Luda Braca" (Crazy Brothers). Come to enjoy the beauty of the peace and the cordiality of the hosts. VILLA-HOTEL BB is situated on the east side of Split.